Good design is critical as it will impact the projects lead times, safety and costs of a construction project. If your project is lacking design guidance, it is a wise move to hire a design consultant. Here are the key areas to look into when selecting a design consultant for your project. Firm’s approach to the project – It is important that the firm’s approach to the project’s design is clear and that this is communicated to a design consultant. When the vision of the firm is communicated to the design consultant, the result will be a project that meets its expectations. Experience – Look at hiring a design consultant who has experience designing similar projects such as yours. Ask for references and look for at least five projects that match your requirements. Team – Design consultants will almost never work with the company’s design team and will often have a team of architects that work as a team. Ask for references from these individuals as well and arrange a meeting to ask questions and clarify areas of concern. 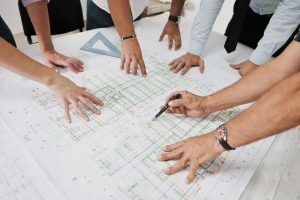 Proposed sub-consultants – Design firms will also work with sub-consultants that advise on areas like structure, mechanical, electrical, plumbing and fire protection. Ask for the names of the sub-consulting firms and look into what they have previously designed. Litigation on design issues – Look for litigation issues against the design consulting. These details will give you an idea of the consulting firm’s areas of weakness. Written by Lyle Charles. Ensure that your project is running on time and at peak efficiency with a construction consultant from Lyle Charles Consulting.